CHORE-TRONICS® 3 Units can be upgraded with new software features using a USB setup key available from Chore-Time distributors. 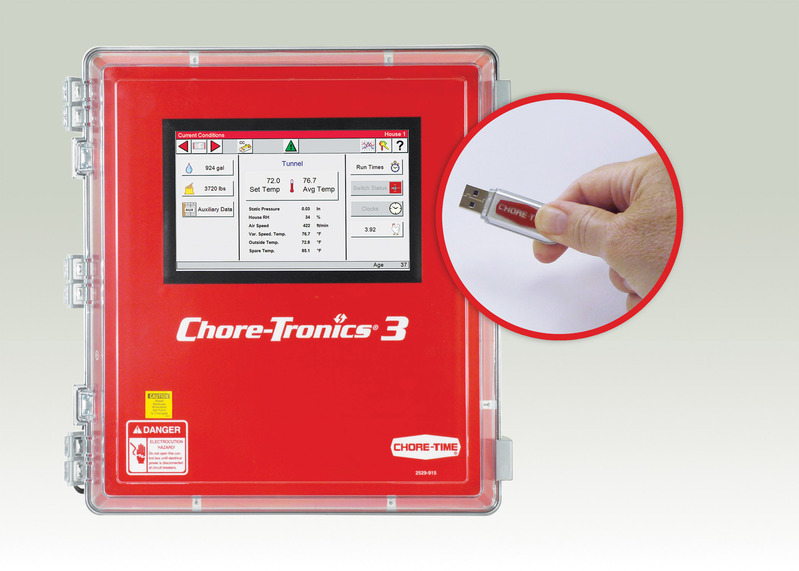 MILFORD, Indiana, U.S.A. — The recently updated CHORE-TRONICS® 3 Controller provides operators with new ways to monitor and manage productivity in their poultry houses. Enhanced features include control of drinker line water columns, zoned sprinklers and multiple variable-speed fans. 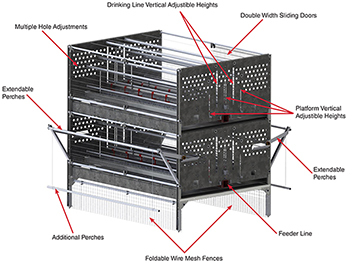 Chore-Time is the first to combine these benefits in a poultry controller. With PDS technology built in to the CHORE-TRONICS 3 System, growers can maintain the same water column height no matter how many birds are drinking. This feature also monitors curving of the minimum and maximum flow-rate alarms, and allows operators to flush the drinking system based on water temperature. Operators can now set four different fan groupings at infinitely variable speeds with the CHORE-TRONICS 3 Controller. This feature eliminates spikes in ventilation. The CHORE-TRONICS 3 System controls sprinklers automatically for zoned cooling. This new feature keeps birds cool and helps growers use water efficiently. Chore-Time has also added a Mobile App and an optional BROADCASTER™ Alert System that gives managers more mobile options for controlling poultry houses. More details about the CHORE-TRONICS 3 Controller, Mobile App and system compatibility are available at choretime.com.